Erin has been watching the likes of Bear Grylls having some wonderful adventures in some rugged and beautiful parts of the world for a few years now. 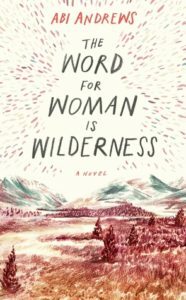 Even though she is 19, she has hardly left the shores of England, but the call of the wild is too much to resist and why should all the men have the fun in the wild. Her journey will take her from the comfortable life that she has known. Deciding not to fly and instead travel by sea and land, she heads off to Iceland, before heading across wild seas where she will see whales for the first time, across Greenland and then the vast continent of America before finding a cabin in the wilds of Denali, Alaska. Along the way she contemplates subjects as different as physics and mutually assured destruction as well as meeting some wonderful and the occasional slightly creepy person. The isolation she has whilst living in her cabin means that she sometimes not sure what is real and what is her imagination, but she manages to survive and feed herself. The natural world flows all around her every day and occasionally spooks her, such as when she sees a bear’s footprint near her cabin. It gives her time to contemplate the mostly male and occasional female writers who have sought the same isolation. There are a lot of things that I liked about this debut; Erin has a strong voice and sense of purpose and is a teen who questions the male hierarchy and vested interests. It was refreshing to have this type of adventure told from the perspective of a modern day earth mother. I didn’t think that the plot was that strong, but then this is a very focused journey to a particular place. Erin’s character does come across as naïve and quite vulnerable given the place where she is staying. Another thing that I thought was really good was Andrews descriptions of the land and seascapes that Erin crosses on her journey to the cabin. They are quite something else, especially when you consider she wrote them after countless hours of watching videos and youtube videos of the places in the book. Looking forward to reading more of her work in the future. I saw lots of 3 stars for this book, now I’m a bit suspicious. Probably I will do a try a chapter or so and decide if to invest my time or not. Thanks for the honest review! Three-star reviews are the hardest to write to be honest!